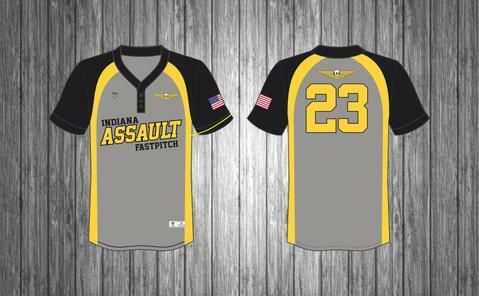 All of Five Tool Apparels jerseys are custom made just for your team. 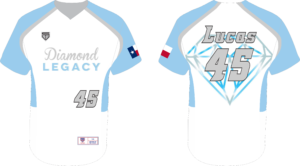 We can do this and all styles designed just for your team using your logos and colors. 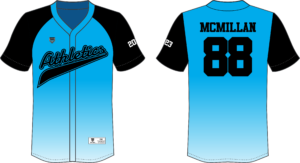 All jerseys are custom fit for every baseball or softball player. 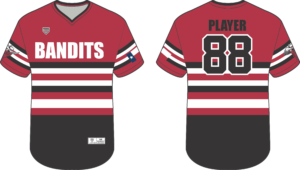 Simply select your style of jersey (full button, two button, v-neck, crew neck , or even sleeve less for the softball players) and then request a quote and or design team will get to work giving your team the custom look they desire.